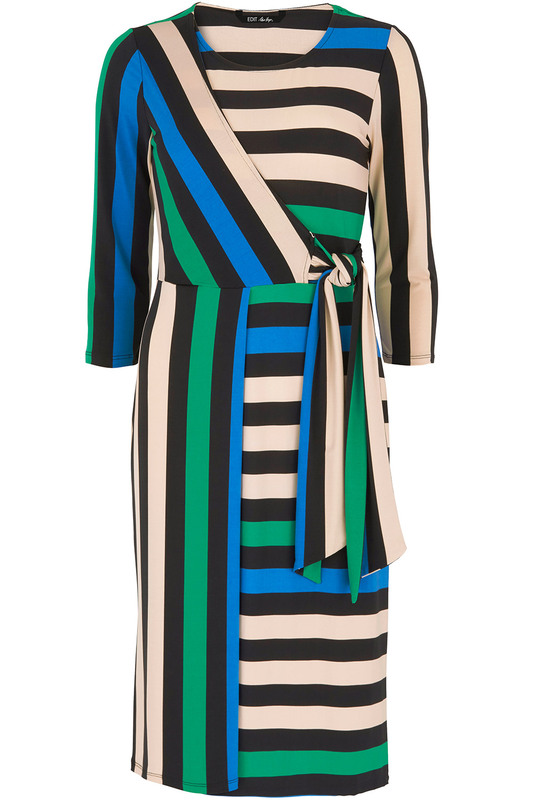 This flattering wrap dress is completed by an elegant tie detail on the side. 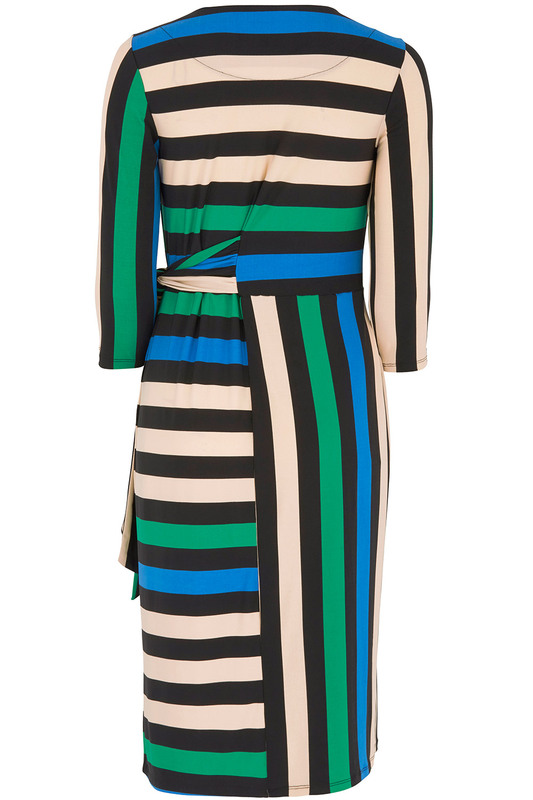 It features a bold all-over stripe print in an eye-catching palette: perfect for adding colour to your wardrobe. The 3/4 sleeves and midi cut make it well suited to smart casual occasions. Wear with black heels and a clutch bag for a charming evening outfit.